Find The Best Wine Club For You. Add your wine club to the Wine Clubs Directory. Just apply for a listing here. Get your free copy of the Wine Club Buyers Guide. Make it easy on yourself to find the perfect Wine Club for you, or as a gift. 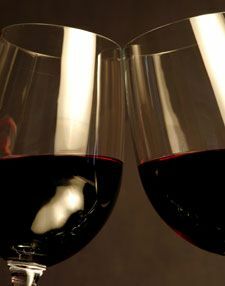 Follow the Recommended Wine Clubs and Wine Club Reviews & Ratings. Simply Wine, of Center Street Cellar, in Northville MI is a great little wine shop in the heart of downtown Northville. They have wine tasting everyday, wine tasting events. Get the BIGGEST BANG for your buck - buy High Quality Wine in bulk! 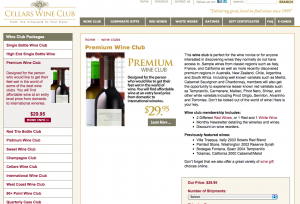 Get a case of wine delivered with Cellars Wine Club's extremely popular "Quarterly Case Club". This is the "Best of of the West Coast" wine club by the Cellars Wine Club company that brings you wine from the West Coast of the US. The West Coast Wine Club has delicious wines from world renowned regions of California such as Napa, Sonoma and Monterey - all at a great price. This is an International wine club by the Cellars Wine Club company that brings you wine from all around the world. The International Wine Club has impressive wines from France, Italy, Australia, South Africa, Chile and more -- all at a great price. The perfect Red-Wine-Only Wine Club. You get 3 bottles of great red wine with every shipment. The Platinum Wine Club from Cellars Wine Club brings super-premium, high quality wine at a price that makes this premium wine club perfect for the wine lover with distinctive taste.